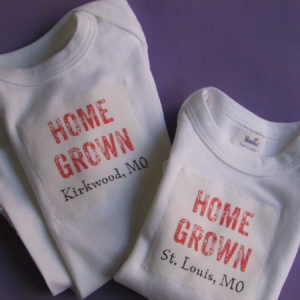 These adorable Baby Boy or Baby Girl Personalized Sleep Gowns are long sleeved 100% soft cotton sleep gowns that artist Shelley Dieterichs personalizes using pastel letters that are hand stitched on the front. The Baby Boy Personalized Sleep Gown has blue cross stitching around the neckline, cuffs and the bottom of the gown and the Baby Girl Personalized Sleep Gown has pink cross stitching on it. 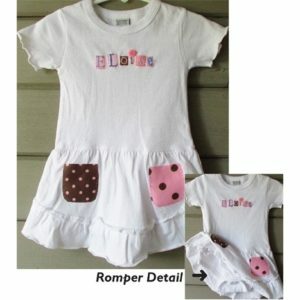 Baby Boy or Baby Girl Personalized Sleep Gowns make a wonderful baby shower and new baby gift!